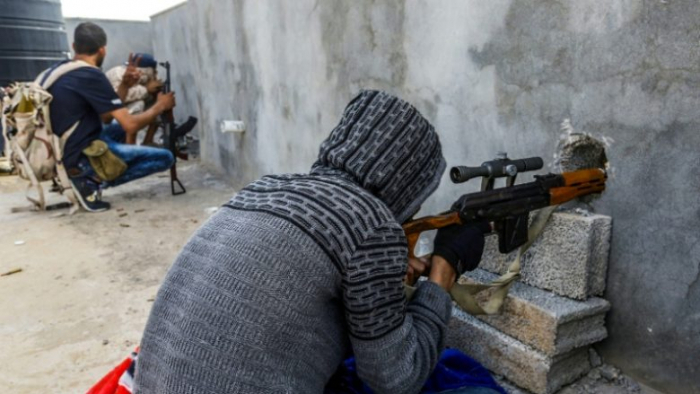 Fighting broke out on April 4 when military strongman Khalifa Haftar launched an offensive to take Tripoli, the seat of the UN-backed Government of National Accord (GNA). At least 14 civilians are among those killed and 36 have been wounded, WHO spokesman Tarik Jasarevic told journalists citing local health facilities. “WHO has deployed additional surgical staff to support hospitals receiving trauma cases,” the United Nations agency wrote on Twitter. Both pro-government forces and Haftar’s self-styled Libyan National Army (LNA) accuse each other of targeting civilians, with each launching daily air raids in addition to clashes on the ground. Fighting in the southern outskirts of the capital has displaced more than 18,000 people, the UN office for the coordination of humanitarian affairs reported Monday. Urgent medical supplies were being delivered to Libya’s health ministry to support those in the worst-hit areas, the UN’s refugee agency said. “Health facilities are in critical need of assistance as the situation on the ground continues deteriorating and number of casualties soaring,” UNHCR tweeted. Read the original article on journalducameroun.com.